There are two common misnomers about Claude Monet. The first is that, as an Impressionist, Claude Monet's paintings were done spontaneously. In fact, Claude Monet studied his subjects intently, planned his paintings, and worked hard to achieve his results. He often painted a series of the same subject to capture the changing effects of the light, swapping canvases as the day progressed. The second is that all of Claude Monet's his paintings were done on location. In fact, many were painted or finished back in his studio. Claude Monet is quoted as saying: "Whether my cathedral views, my views of London and other canvases are painted from life or not is nobody's business and of no importance whatsoever." Claude Monet painted on canvas which was a light color, such as white, very pale gray or very light yellow, and used opaque colors. A close-up study of one of Monet's paintings will show that colors were often used straight from the tube or mixed on the canvas. But that he also scumbled colors -- using thin, broken layers of paint that allows the lower layers of color to shine through. Claude Monet build up texture through his brushstrokes, which vary from thick to thin, with tiny dabs of light, adding contours for definition and color harmonies, working from dark to light. Claude Monet painted many subjects again and again, but every one of his series paintings is different, whether it's a painting of a water lily or a hay stack. 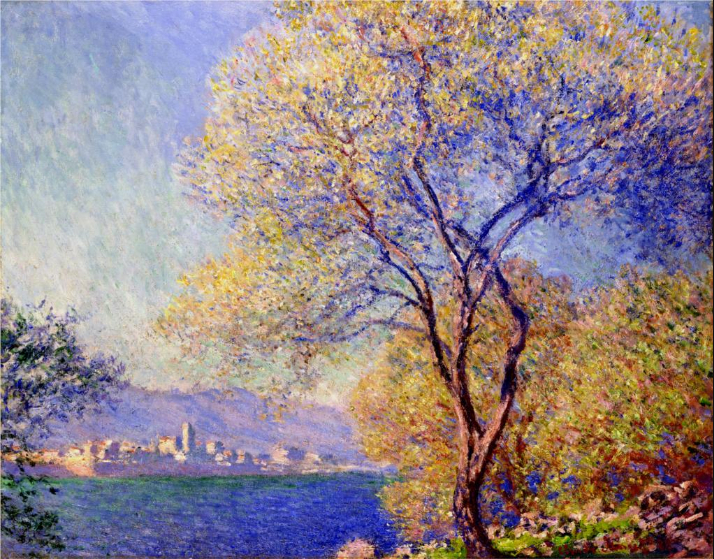 Claude Monet (Nov.14 1840 – Dec.5 1926) was a founder of French Impressionist painting, and the most consistent and prolific practitioner of the movement's philosophy of expressing one's perceptions before nature, especially as applied to plein-air landscape painting. The term "Impressionism" is derived from the title of his painting Impression, soleil levant, which was exhibited in 1874 in the first of the independent exhibitions mounted by Monet and his associates as an alternative to the Salon de Paris. Claude Monet's ambition of documenting the French countryside led him to adopt a method of painting the same scene many times in order to capture the changing of light and the passing of the seasons. From 1883 Monet lived in Giverny, where he purchased a house and property, and began a vast landscaping project which included lily ponds that would become the subjects of his best-known works. In 1899 he began painting the water lilies, first in vertical views with a Japanese bridge as a central feature, and later in the series of large-scale paintings that was to occupy him continuously for the next 20 years of his life. 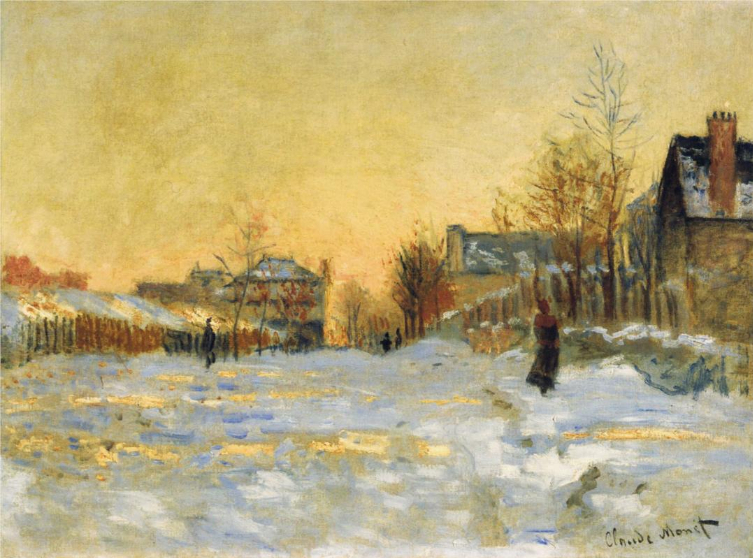 From the late 1860s, Claude Monet and other like-minded artists met with rejection from the conservative Académie des Beaux-Arts which held its annual exhibition at the Salon de Paris. During the latter part of 1873, Monet, Pierre-Auguste Renoir, Camille Pissarro, and Alfred Sisley organized the Société anonyme des artistes peintres, sculpteurs et graveurs (Cooperative and Anonymous Association of Painters, Sculptors, and Engravers) to exhibit their artworks independently. At their first exhibition, held in April 1874, Monet exhibited the work that was to give the group its lasting name. Tags: Claude Monet's Impressionism Painting Techniques, Claude Monet's Painting Skills.